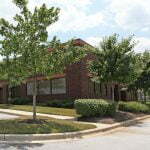 MacKenzie Represents Anne Arundel Workforce Development Corp.
MacKenzie Commercial Real Estate Services, LLC is pleased to announce the recently completed lease for the Anne Arundel Workforce Development Corporation (AAWDC) that comprised two locations; 3,000 square feet at I-97 Business Park, 1131 Benfield Boulevard in Millersville and 23,360 square feet at BWI Tech Park, 613 Global Way in Linthicum Heights. David McClatchy and Trish Farrell represented the AAWDC. AAWDC also collaborated with MacKenzie Contracting Company to provide construction management throughout the build-out of the new space. A ribbon cutting at the new location was held on November 3, 2017 and the spaces have been occupied. AAWDC is a nonprofit corporation that provides innovative, high quality workforce development services to Anne Arundel County businesses and citizens. AAWDC is the bridge between understanding the workforce and talent development needs of local and regional businesses and preparing individuals to meet their full career potential. The 3,000 square foot space at Benfield Boulevard will serve as the organization’s new corporate headquarters location. The 23,360 square foot space will house the organization’s multiple initiatives that range from county, state, and federally supported programs, developing and delivering workforce solutions for area businesses. Both locations were chosen due to their accessibility to the group’s customer base, public transportation options, and the attraction of the BWI area being a main business hub for the region. For more information on AAWDC, please visit their website, www.aawdc.org. For leasing inquiries or tenant representation, contact David McClatchy at 410.953.0366 or dmcclatchy@mackenziecommerical.com, or Trish Farrell at 410.974.9003 or tfarrell@mackenziecommercial.com.